This post is not about my father. It is about one of America’s most notable literary figures – Ernest Hemingway. 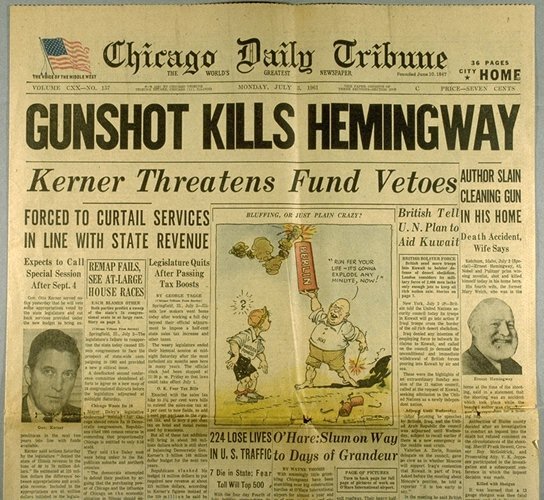 53 years ago today, Ernest Miller Hemingway found his way to his gun cabinet and discharged one chamber of his double-barreled, 12 gauge shotgun and ended his magnificent career as a writer and, more importantly, shut the light out on an extraordinary life. I am in the process of researching a musical based on this iconic figure. Believe me when I say the landscape of material is wide and deep. Finding the proper way to approach this intricate life is not easy. I do not envy the biographers and scholars the task they’ve had in documenting this complicated man and his body of work. I am fortunate to personally know one of the foremost authorities on the subject but I’m saving that “Phone A Friend” lifeline in my research for another time. I’ve been reading a book by Arnold Samuelson, a writer-come-hobo who managed to find himself on Hemingway’s doorstep in 1934 and then subsequently found employment and tutelage under Papa himself. What started out as a few questions about writing ended up as a year on Pilar as a deckhand/night watchman and as a writing student of Papa’s. As a tribute to EH and as an attempt to transfer my daily observations into words, I intend to write every day about something I’ve seen, no matter trivial. So that the reader can see it and so that it will come alive. The air is hot and moist as the impending storm threatens to alter everyone’s weekend plans. The steam from my shower still lingers in the air as I stand in my bra, not quite ready to cover my damp skin with my Old Man and the Sea t-shirt. 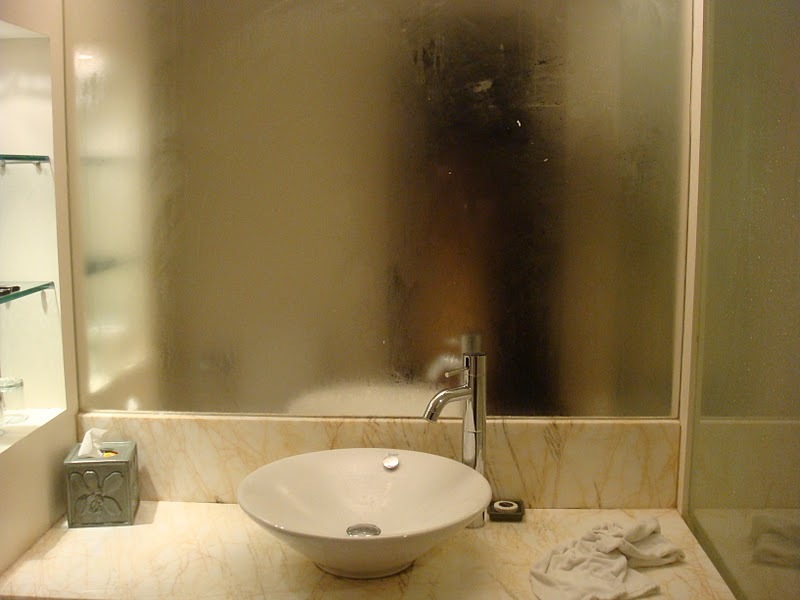 I wipe the fog from the mirror and stare at the reflection. Pale white skin, tubes and wires navigating needle scars that permeate a gut that hangs ever-so-slightly over my waistline. I am reminded of the second false start to my fitness regimen and cannot decide whether or not to accept defeat or refuse it. The snarky voices of the cast of MTV’s Girl Code echo downstairs, imploring their audience to embrace their bodies and love themselves for who they are. I laugh. Not because it is funny but because it isn’t. No man in my life has ever told me that I am beautiful. Sure, I was likely told that I looked beautiful on my prom night or on my wedding day but being told that you look beautiful is different than being told you are beautiful. I’ve been call intelligent, talented, amazing even, but never beautiful. My mind wanders back to my reflection. I grow weary of my it and hurriedly cover myself, despite the thick air.